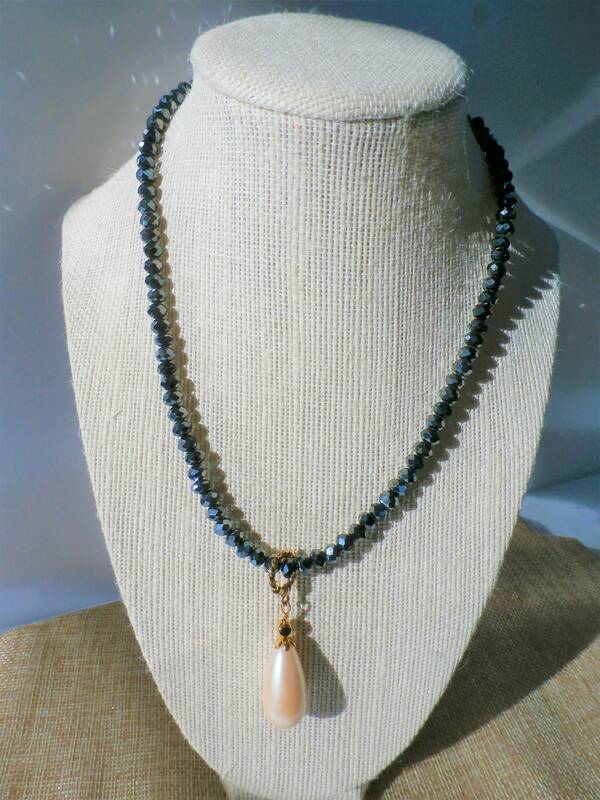 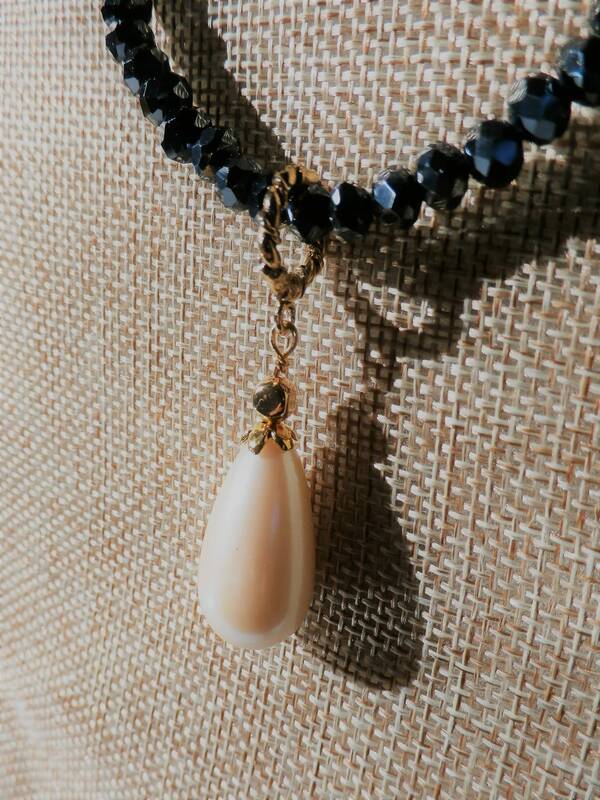 Gray-ice Collection - Charcoal Crystals 18 inch necklace, with a removable 2" inch pearl pendant, gold, 1.25" cream pearl teardrop, gold lobster claw. 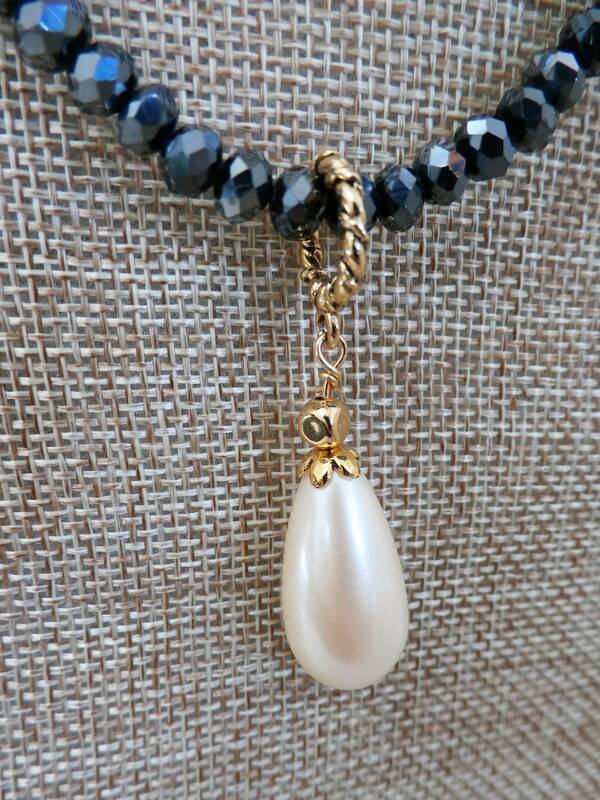 Wear with the pearl, or without, and maybe add your own pendant. 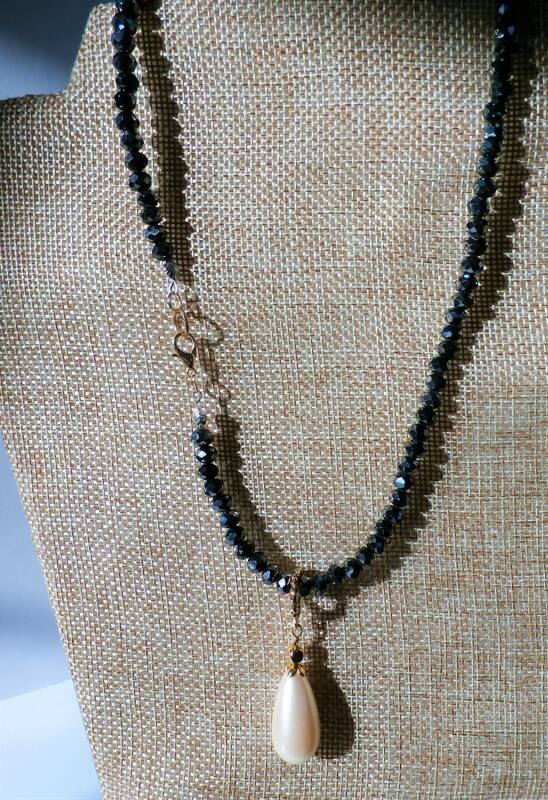 Grace, Gray Ice I call it. 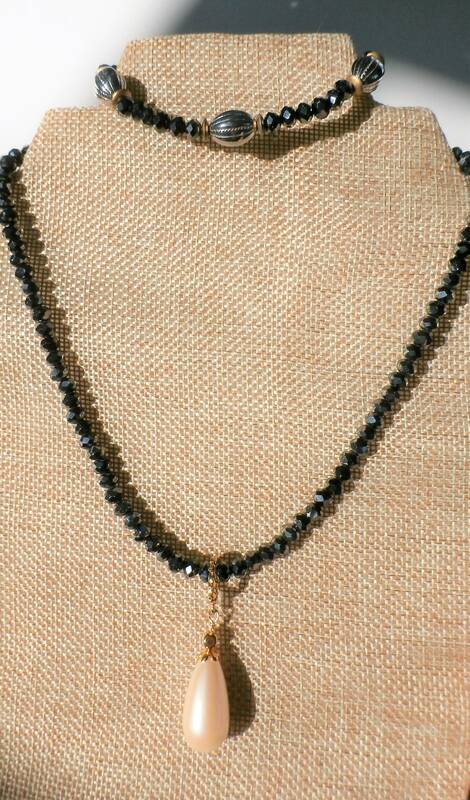 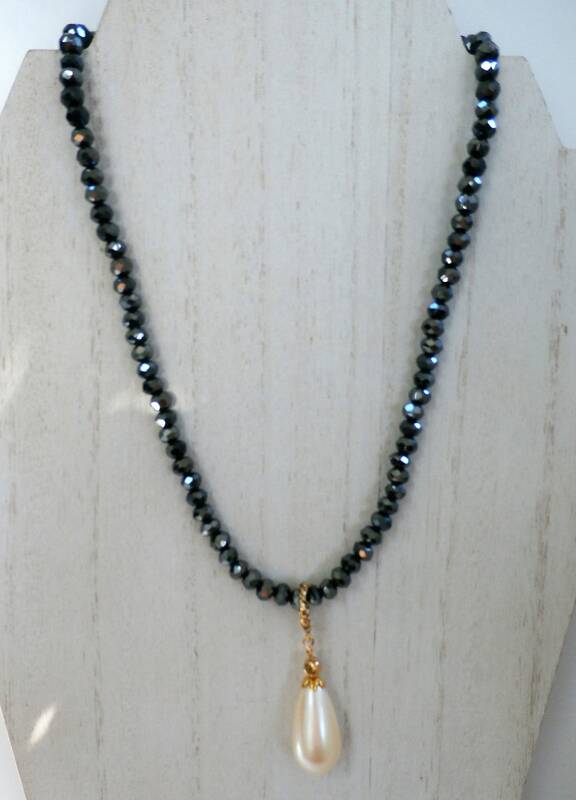 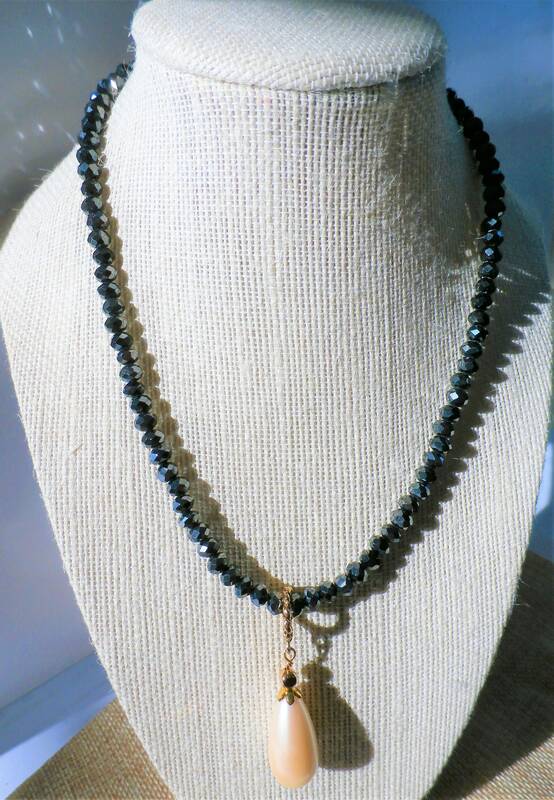 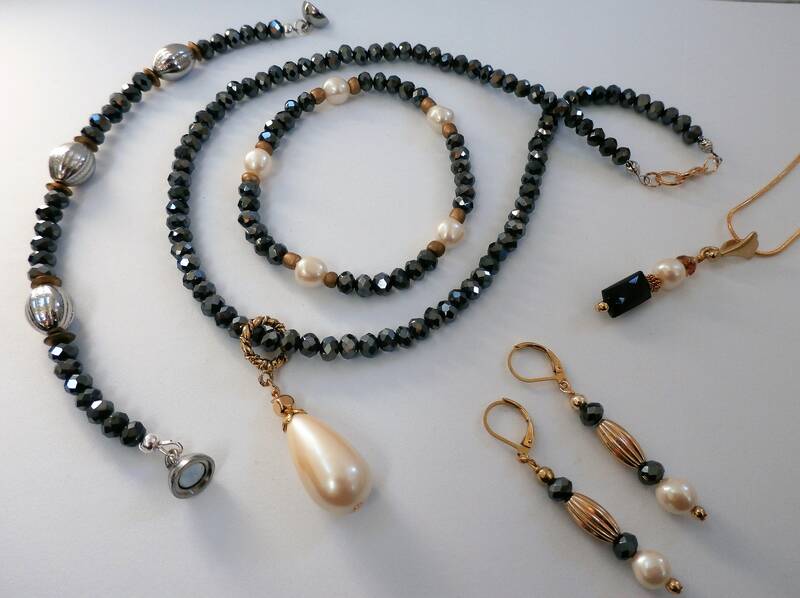 A suite of jewelry made from black, gray and charcoal faceted crystals, with accents of pearls, 14 K gold beads and findings/wires. 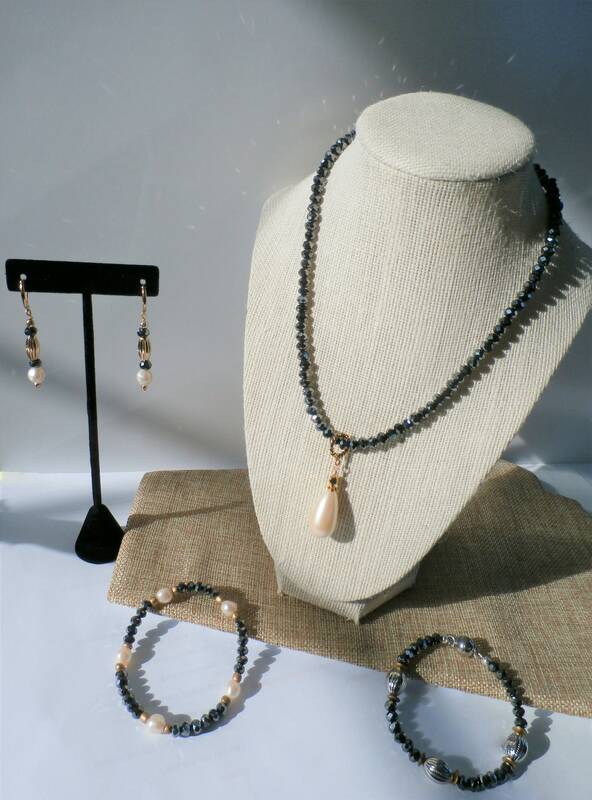 All handcrafted and every piece matches the rest of the suite. 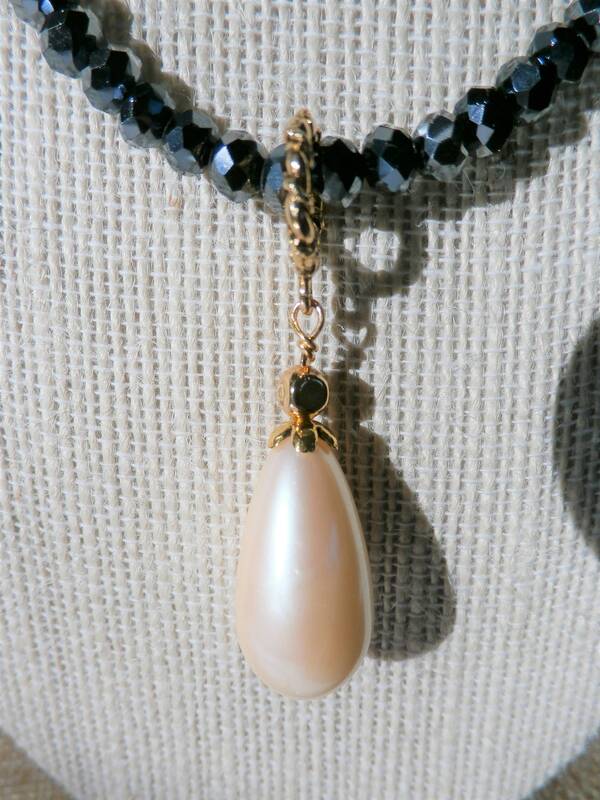 A very dramatic look, and can be worn with all fashion, one piece, or 5 pieces.